During the holiday season, many of us are flooded with phone calls and letters requesting contributions to various charitable organizations—and we respond. About 95 percent of households donate to charities, averaging about $3,000 per household contribution, according to the National Philanthropic Trust. Charitable giving is one of the top financial priorities of many individuals and families, along with saving for retirement and college. "We hear very consistently that it's an important element of their financial planning," said Fidelity Investments' Kathleen Murphy, who oversees $1.7 trillion in assets as president of the firm's personal investing business. "Almost regardless of the affluence they have, people want to give back." But when people give, they should be certain that the charity isn't a scam and that the contribution—big or small—will have the greatest impact. Here's a checklist to make sure you're choosing a charity wisely. 1. Find a charity whose mission you believe in. If it's a local nonprofit or a national organization with programs in your community, you can volunteer your time or go in person to see some of the programming in action. Check out the company's website as well as independent reviews and evaluations. 2. Make sure it's a legitimate, reputable charity. 3. Determine how your donation will be used. GuideStar, CharityNavigator,and CharityWatch are a few websites that will give you an overview of an organization's financial health and budget breakdown. 4. The typical charity spends 75 percent of its budget on programs, according to CharityNavigator.Look for nonprofits that hit or come close to the benchmark. The rest of a typical charity's budget goes to administrative costs (15 percent) and fundraising (10 percent). 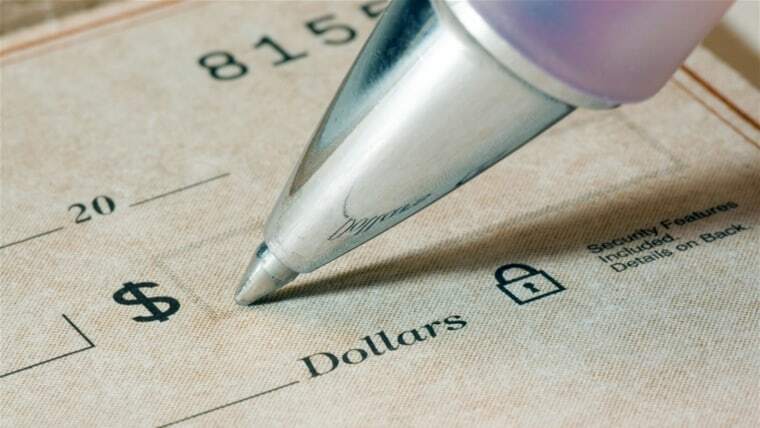 CharityWatch delves a bit deeper into an organization's fundraising and other accounting practices, including how much is spent to raise each $100 of funds that are collected. 5. Also, be sure to assess the impact of the charity's work. GiveWell does in-depth research on programs that it determines have had the most impact on people's lives and then suggests a handful of charities it deems best at delivering these programs. It also suggests questions that you should ask a charity to evaluate whether the organization is actually "doing good" and having a measurable effect. 6. If you don't have time to do the research and can't decide which charity to choose, you can still make a tax-deductible charitable contribution to a donor-advised fund. It's like a charitable savings account. You can contribute to the fund as often as you'd like and recommend grants to your favorite charity when you're ready. A number of investment firms, including Vanguard, Charles Schwab and Fidelity, offer donor-advised funds.